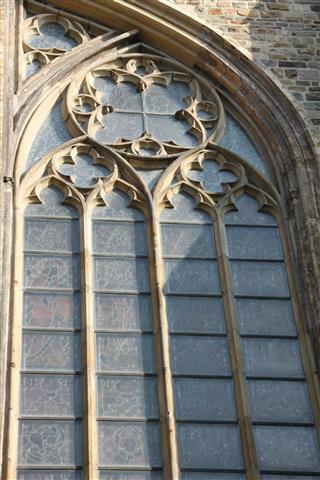 St. John’s Church is one of the two churches on the Vrijthof in the center of Maastricht. 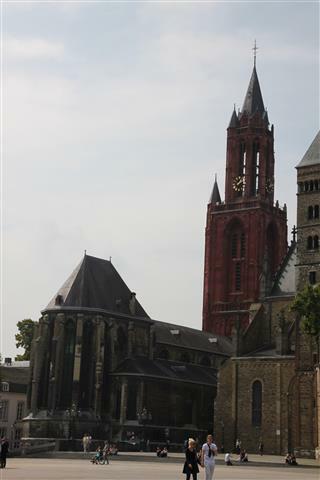 To the right is the St. Servaas Basilica and on the left St. John’s Church. 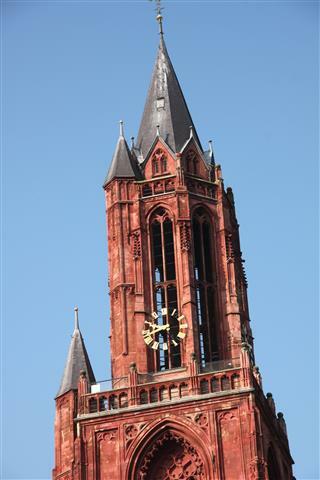 The entrance to the church is under the tower of the Henric Veldekeplein. 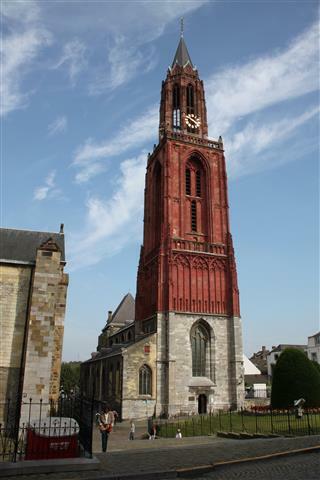 The “Sint-Janskerk” (St. John’s Church) originally built as a baptistery for the Chapter of Saint Servatius, and eventually became an independent Parish. 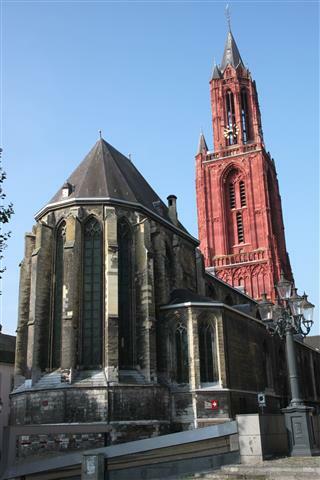 In the middle ages St. John’s was one of the four parish churches in Maastricht. 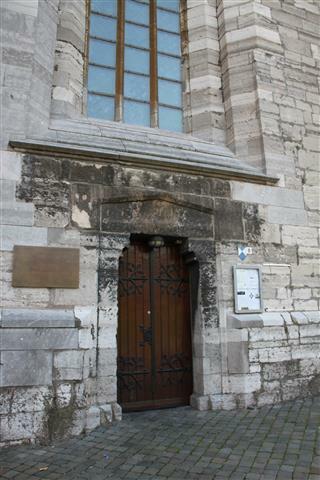 The church takes its name from John the Baptist and was founded in approximately 1200 . 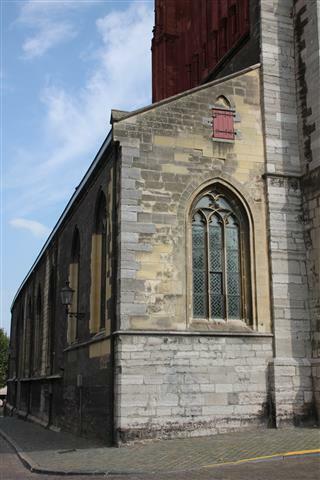 St. John’s Church was named in 1218 for the first time and the present church dates from the late 14th and early 15th century. 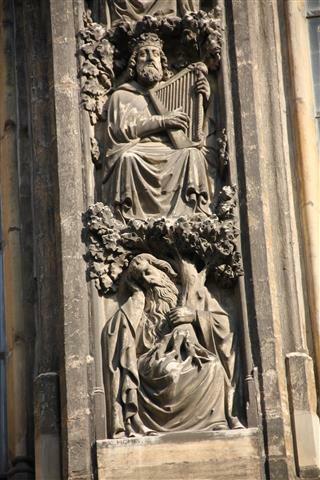 In 1414, the Gothic baptistry was added. 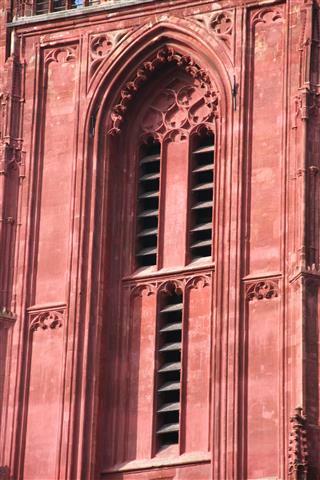 The original tower collapsed on June 8, 1366 after a violent storm. 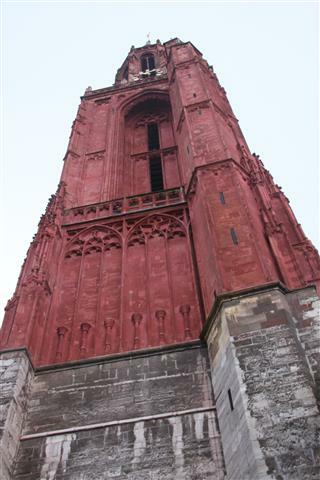 The current tower was completed after a long renovation in the second half of the fifteenth century and was topped with the construction of the high lantern. 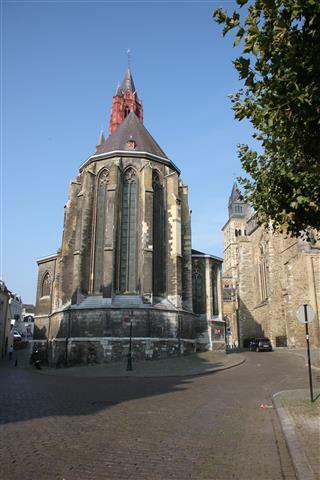 After the conquest of Maastricht in 1632 by Frederick Henry, the church was finally turned earlier to Protestant hands, after having been claimed earlier by the Protestants. 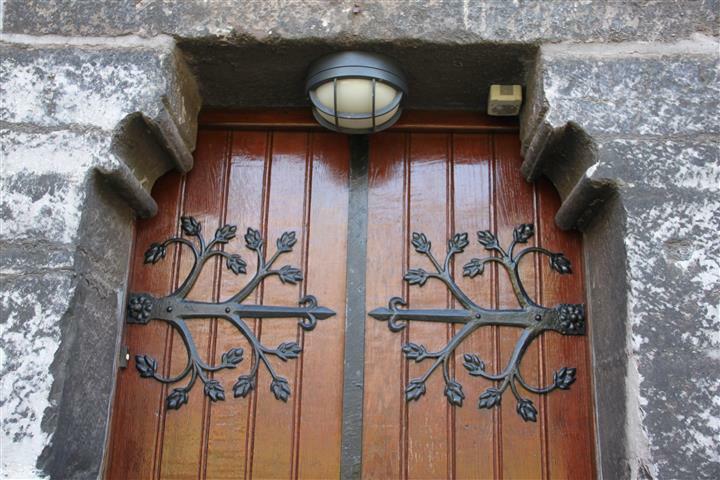 From 1633 the church belonged to the Dutch Reformed Church. 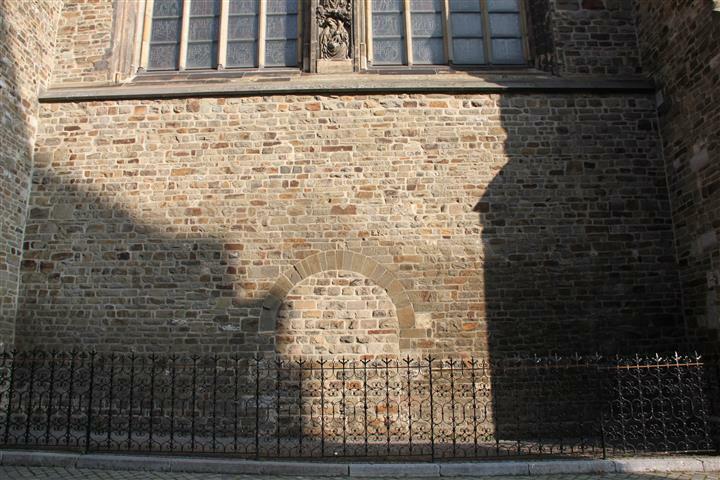 The murals with scenes Catholic disappeared under a layer of white lime and only came to light during an early 20th century restoration. 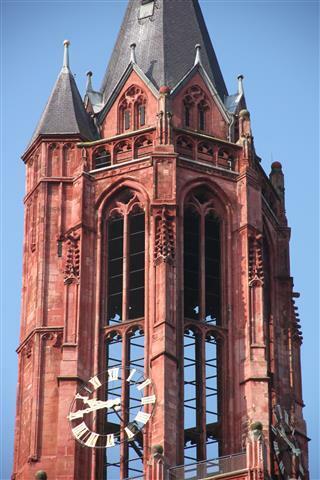 The tower has not always had the distinctive red color; in writings mention is made of the colors yellow (early 18th century) and white (early 19th century). 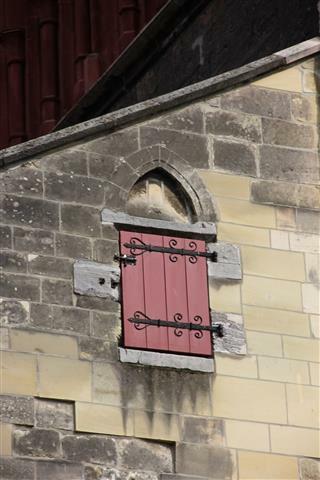 The church has been restored multiple times in the years. 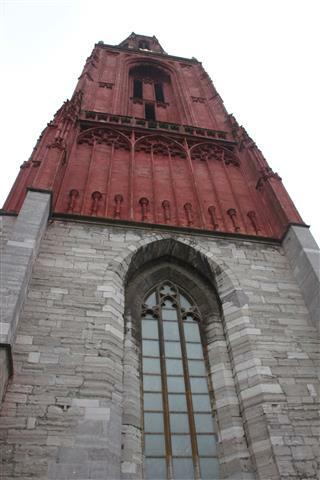 During the last restoration (1984), the tower was again painted red. 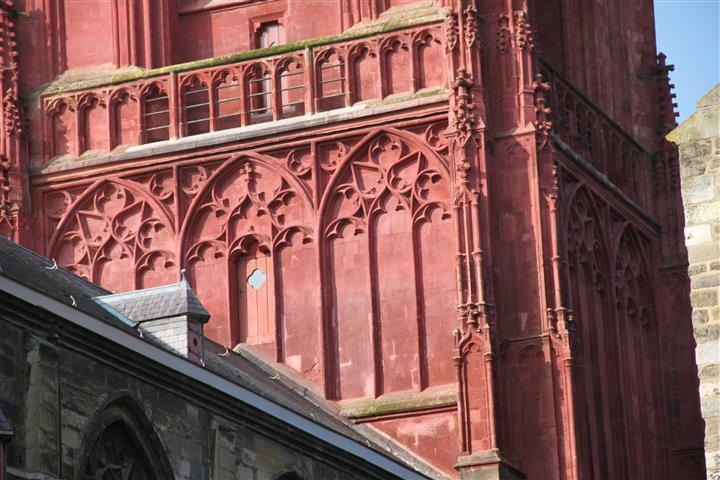 The church was built in marl stone on a foundation of coal sandstone and limestone. 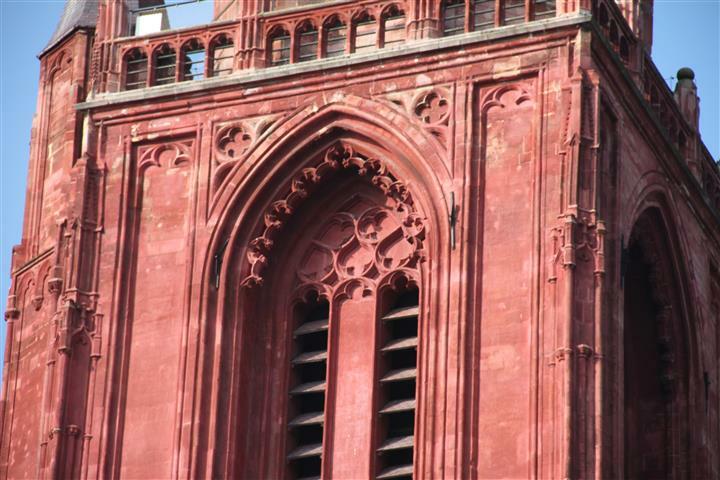 The tower superstructure exhibits influences from Dom Tower in Utrecht. 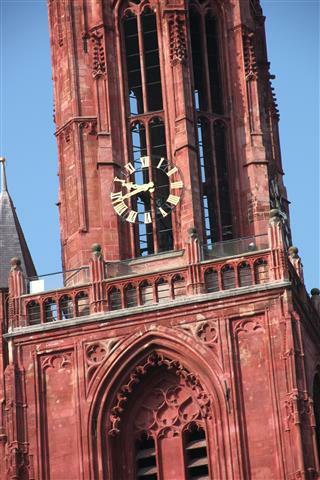 The marl stone crown and spire date from the time of the restorations by Cuypers (1877). 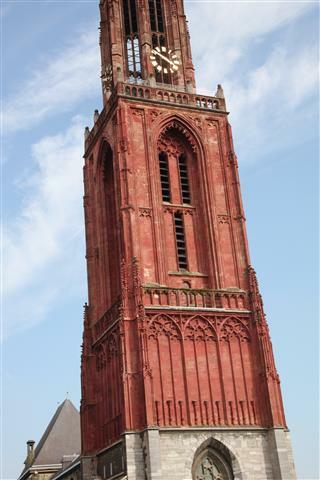 The tower also contains a 15th century wooden belfry with a bell from 1687, cast by John and Josephus Plumere. 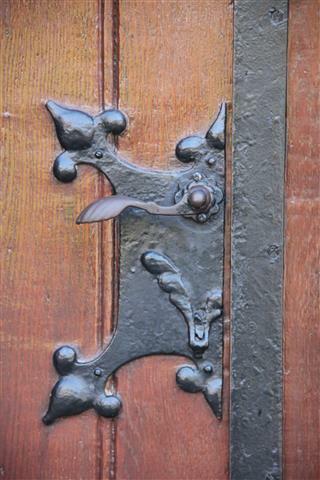 A small bell, the so-called. 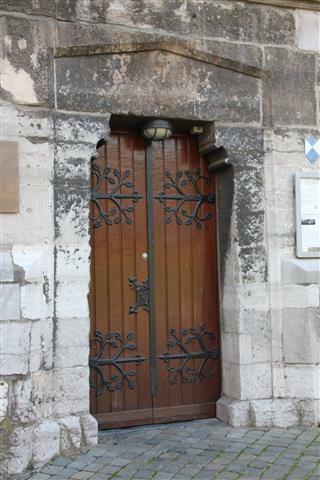 Gate bell, formerly chimed daily at the opening and closing of the gates but was stolen by the Germans during the occupation in 1943. 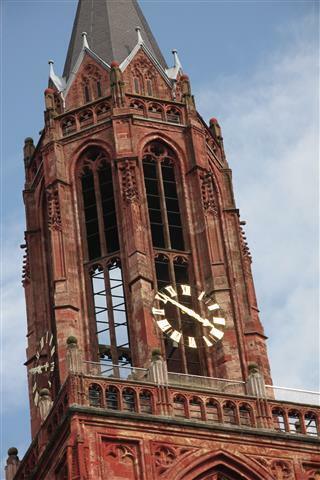 In 1997 the tower gained a new clock. Further facilities at the church several sculpted tombs in black and white marble, stone tombstones (the oldest from 1354) and several murals, including Lamb with cross vane in the choir and a representation of Christ as Salvator Mundi on a pedestal. 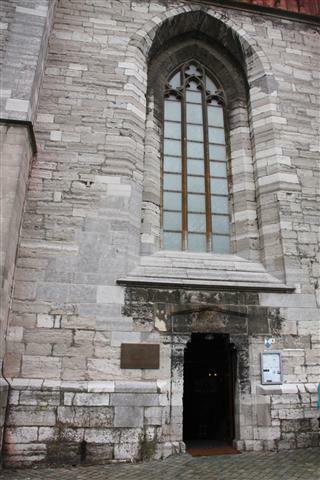 The church is the venue for regular concerts, including during the annual festival of religious music Musica Sacra. 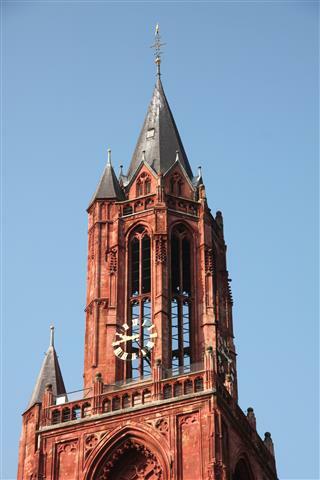 It is also venue for the March international art fair TEFAF, an exhibition of antique books and prints. 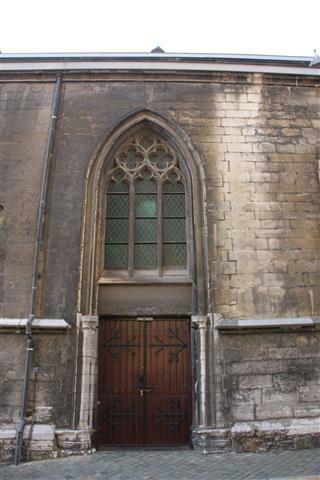 The church can be visited daily, except on Sundays, then church services are held. 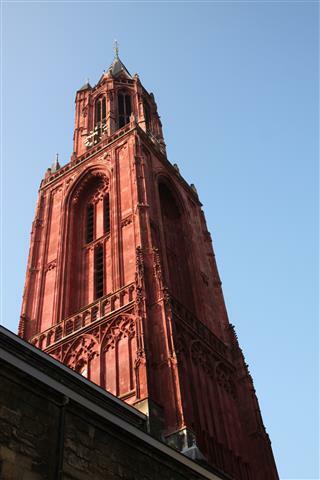 In summer it’s possible to climb the almost 80 meter high tower which is the highest in Maastricht.